I'm excited to have today's blog post feature an interview with the two authors/editors of the newly released Fae Visions of the Mediterranean, which features a short story by fellow Ghost, Gears, and Grimoires author Mattia Ravasi. You all know how much I love mythology and how traveling to Greece has been one of the highlights of my life, so I couldn't say no. Enjoy! 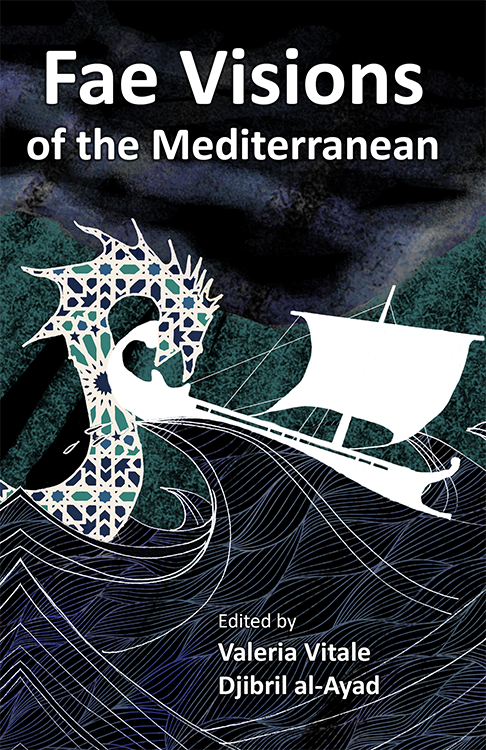 Fae Visions of the Mediterranean is an anthology of short stories, poems, translations, and other arcane bits of written awesomeness published by The Future Fire. 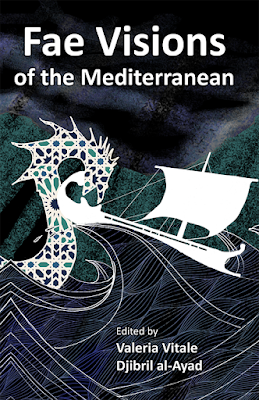 It is meant to represent the diverse and complex nature of the Mediterranean – as a geographical, cultural and historical entity – through tales both cheerful and dark... but generally quite dark. Monsters abound in the pages of Fae Visions, and moving as they are by and beneath the Mediterranean's waves, they hardly ever look out of place. Valeria and Djibril, the guys who edited the anthology,chose one of my stories for Fae Visions. When it was time to start with the interviews-madness, I thought I should grab the chance and ask them about the anthology's behind-the-scenes, and about what they wanted to achieve. I'm sure all fans of the fantastical and horrific, and especially those of us who are striving to get their stories published, will appreciate this sneak peek at the world of editors, these bizarre creatures. Thanks to both Valeria and Djibril for being such amazing people to work with, and to Amy for hosting this interview on her fabulous blog. Enjoy! 1) Let's start from the beginning, shall we: where did the idea for the Fae Visions anthology come from? What was your goal? Valeria Vitale: It started with a discussion about material culture. Someone pointed out how the same card games can be found, with very little variations in the deck, among relatively distant cities that have in common “only” the fact of being ports of the Mediterranean. That Mediterranean cities have strong and old (although always evolving) links is something so apparent to me, born on the Ionian sea, that I had never really reflected on it; I had never tried to explain the beauty of growing up in an environment where national borders don’t make a lot of sense. The conversation moved quite naturally from travelling objects to travelling words, songs, tales and characters. If you look at the monsters painted on ancient vessels, you can easily imagine the stories travelling with them—I like to picture ancient sea-captains giving lifts to monsters, hidden in the hold! So we decided to create a literary space for the wonders and horrors (sometimes the line is thin…) of the Mediterranean. We wanted to allow those peregrine stories to travel even further, reaching the new, dark and cold seas of the Anglophone countries. 2) The bit on the card games was seriously dope. I had no idea about it. Moving on: when you get a story - be it for an anthology or an issue of your magazine - what elements tell you that it's exactly what you are looking for? Do you take any background information about the story's author into account when you judge a story? Djibril al-Ayad: It’s a more complicated process than that, I think. It varies depending on the editors, but often we start off by just filtering those stories that we both absolutely love: beautifully written, great imagery, that speak to us. Then we discuss that longlist, and decide which ones meet the theme most appropriately, and which contribute to a variety in theme, style, genre, representation (of authors, characters, settings)—apart from that, no the author’s background/gender/ethnicity never comes into the decision as to whether to publish a story or not. Then we have a shortlist which is typically double the length of the final table of contents, and we have to decide not which stories we want to lose—but which stories we know we *mustn’t* lose. VV: Also, it is very good to work with someone that shares your general views on what makes a good story, but has different tastes and background. It makes you look at the stories with different eyes, and discover other perspectives. Sometimes, after discussing a story with the other editors, we end up with a complete different opinion about it (funnily enough, that means that we still disagree, but in a new way :-) ). It is a very interesting process, and has taught me a lot, not only about literature. DA: That’s right. One of the most interesting things I’ve noticed with previous anthologies I’ve co-edited has been that the stories I hated but was talked into, or the stories my co-editor hated and I talked them into, are precisely the ones that end up being the strongest stories, most popular, most likely to win awards, etc. Having two sets of eyes helping to overcome each other’s prejudices is incredibly valuable. 3) If you could have one living writer — any writer — contribute an extra story to the 2nd, extended, golden, exclusive limited edition of Fae Visions of the Mediterranean, who would she or he be? DA: Well, we really wouldn't like to prejudge the slushpile of a future anthology, because for example our very favourite author could in theory submit something and we might decide the story doesn’t fit (which is also why I never commission stories for anthologies). But you’re asking us to dream, so in the spirit of that I’ll say that it would be great to have people of the calibre of Amal El Mohtar, Lavie Tidhar, Pilar Pedreza, Ahmed Khaled Tawfik, Alda Teodorani or Vered Tochterman contributing to the slush some day. Who knows? Nothing’s impossible. VV: Actually, we _are_ thinking of a second volume! 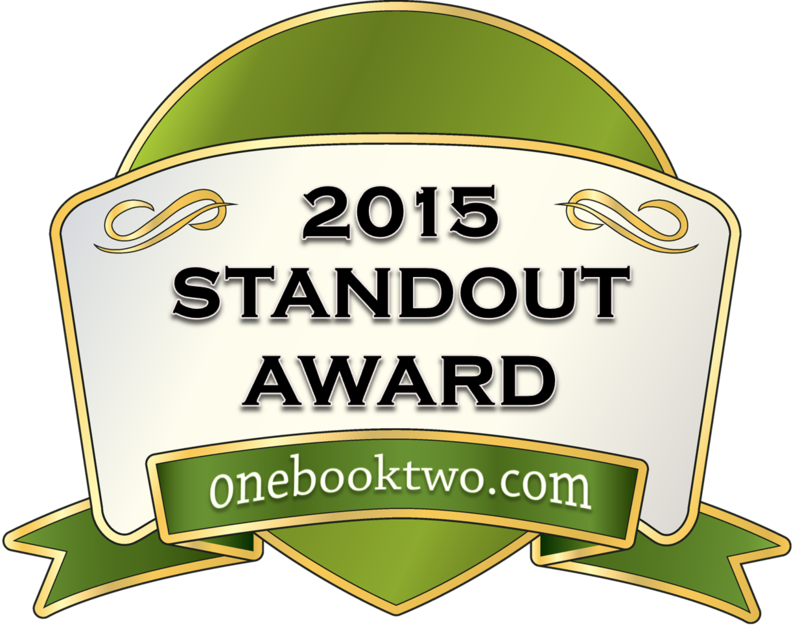 (We had not really planned a golden, limited edition, but we could work on that...). First, it was such a good experience, and we got so many good and interesting stories, that we don’t really want to stop (well, maybe just for a while). Second, and more important, we felt that there were some voices and themes that didn’t get represented as much as we would have liked in Fae Visions. So, we plan to open another call in the future, looking especially for stories coming from—or talking about—North Africa and the Near East. So, in case Amal, Lavie, Ahmed or Vered were a bit upset because they missed the first call… they can cheer up! 4) A bit of behind-the-scenes: what is the best part and what is the worst part of your job as editors? VV: That’s an easy one! The best thing is when, reading the slushpile, you stumble on a very, very good story. One of those you stop reading halfway through just to say “wow”; something that is so moving, and bold, and unexpected that it blows you away. When that happens (and, luckily, it is not a rare thing) you feel really privileged to have a role in bringing this amazing thing to life, you’re so proud to have built a little window for its beauty to shine. DA: And it may be a cliché, but the worst thing is having to reject a bunch of stories from the final ToC that you really loved when you first read them. I’m sure authors never believe us when we write, “We loved your story, but we couldn’t include everything we loved in the final anthology,” but I make a point of only saying that when it’s true. It’s hard. It hurts. We know it’s necessary to make the anthology as strong as it can be—more than the sum of its parts, not just the best individual stories we have found, but the finest and most coherent collection of stories on the specific theme—but it still goes against the grain to turn down a story that’s so wonderful. 5) If you had to live one full year in a city on the Mediterranean, which one would you pick? VV: I am deeply fascinated by the cities on the Mediterranean. They all seem to have incredible stories. Did you know that the island of Gozo in Malta is supposed to be Calypso’s island? Actually, it seems that Ulysses himself is buried in a port city of Libya. And, speaking of Libya, the city of Benghazi once carried the name of the fierce queen Berenike, whose luxurious hair mysteriously flew to the sky, where it can still be seen, among the stars. So, what I would really like to do is to spend one year visiting Mediterranean cities, travelling from tale to tale, following the most bizarre, poetic names. But, I know, this is a cheating answer. You asked for one city. So, if I had to pick one, I’d say Tangier. I irrationally fell in love with it last year, the same way sometimes we fall in love with people and couldn’t really explain why. We only know that they look absolutely gorgeous to us. 6) Finally, big question: what plans do you guys have for the future, whether with the Futurefire.net Press or on your own? DA: We’ve had a busy last year or so with both The Future Fire magazine and Futurefire.net Publishing anthologies, so things will be slowing down a little bit for the next few months. We still have a couple of projects in the pipeline: a feminist-themed issue of the magazine, and a possible follow-up to one of our earlier anthologies being mooted, and we’re open to new ideas, as always. I really want to be in the position to build up our baseline, though—for a start to be able to pay illustrators better, since we have a fabulous quality of artists now, and it’s starting to feel like we can’t impose on their goodwill and enthusiasm forever. But in the meantime we’ll focus on the magazine for this year, and see where that takes us. VV: The best thing about plans for the future is that you always end up doing something else! So, I’m very curious to discover what we will be doing that we had not planned! Thanks to Mattia, Valeria, and Djibril for stopping by! It was great to have you on the blog! © 2015 Amy Braun. All rights reserved. Awesome Inc. theme. Theme images by Ollustrator. Powered by Blogger.